Waterloo – A day-long youth conference about the United Nations (UN) Sustainable Development Goals will be a major part of Wilfrid Laurier University’s annual International Education Week, Nov. 13-18. The Sustainable Development Goals (SDG) Youth Training Conference, to be held on Laurier’s Waterloo campus on Nov. 18, is one of 50 youth training sessions about the SDGs being led at post-secondary institutions across Canada by Foundation for Environmental Stewardship (FES), a youth-led, youth-serving sustainable development organization accredited by the UN. A committee of students from Laurier’s Waterloo and Brantford campuses is organizing the Laurier event. 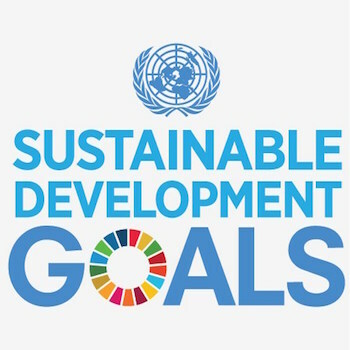 The Sustainable Development Goals are a set of 17 goals the UN adopted in 2015. The goals comprise 169 targets, build on the earlier Millennium Development Goals, and are intended to set the agenda for the world up to 2030. The goals include no poverty, zero hunger, quality education, gender equality, climate action, and good health and well-being. Among the speakers will be Bruce Knotts, a former American diplomat and chair of the United Nations Department of Public Information Executive Committee. His career included serving as regional refugee coordinator for West Africa and deputy chief of mission in The Gambia. Knotts, now executive director of the Unitarian Universalist United Nations Office, will address how the UN serves the most marginalized populations. Also speaking will be Aniqah Zowmi, youth advisor to the Canadian Commission for UNESCO, who was named by Ashoka, a social entrepreneurship organization, and American Express as one of 20 social innovators across Canada poised to create social change. She has spoken at the UN in New York on the importance of youth engagement in sustainable development and was a member of a delegation from Canada for the 2015 Commonwealth Youth Forum. The conference aims to not only teach participants what the SDGs are and how they should be implemented, it also seeks to inspire by sharing how young people are already implementing the SDGs around the world and by inviting community organizations to suggest ideas on how youth can implement the SDGs in their communities. The conference is open to all and the $25 cost to participants is heavily subsidized. Registration is at Eventbrite. Members of the media interested in attending should contact Jennifer Will, communications coordinator for Laurier International. The week also features many other events, which are detailed on the International Education Week webpage. The Go Abroad Student Panel, from 4-6 p.m. on Nov. 14 in room SCJ127 at the SC Johnson Building on the Brantford campus, will feature students who have studied abroad sharing their experience and advice. It is free and open to the community and media.